As said, it is still in the experimental phase. And if you're into wild and crazy excitement then you might want to skip it. 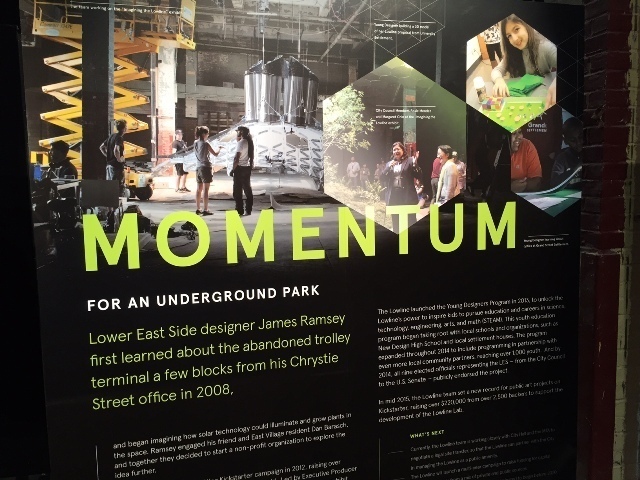 But if you're up for new things and want to look into the future and see a possible new and innovative cultural "only in New York" attraction, you really should take a look inside the Lowline lab. The community driven project has people with all kinds of backgrounds working hard to make it become real. Art, culture, horticulture, engineering and education are brought together here. 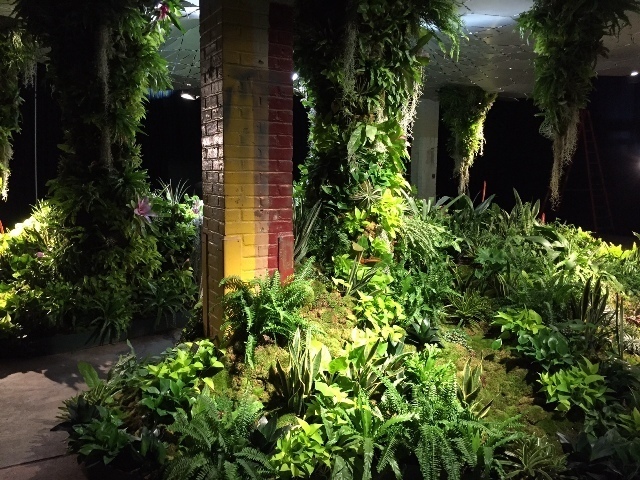 The Lowline is in the Lower East Side. Next to the Essex Street Market. Another special Lower East Side spot. 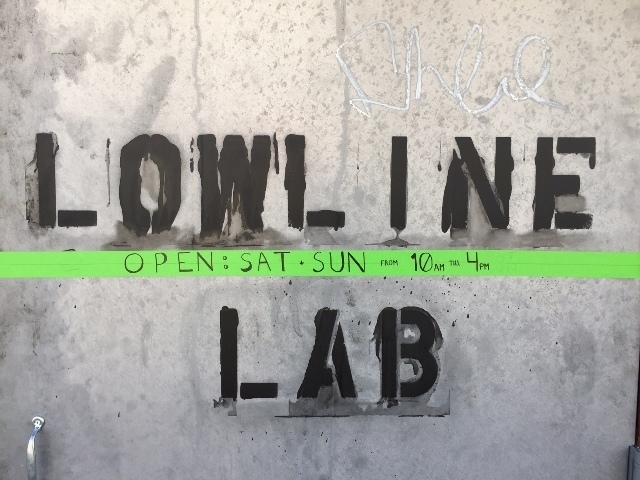 Up to March 2017 the Lowline lab is only opened on Saturdays and Sundays between 11 am and 5 pm (not to 4 like is mentioned on the picture below). There's no admission fee but a donation is very welcome. The location is 140 Essex Street (between Rivington and Stanton streets). Check here if there are any special events going on. In case you feel like getting something to eat and drink and the Essex Street Market didn't have anything to your liking, be sure to check out Schiller's Liquour Bar. 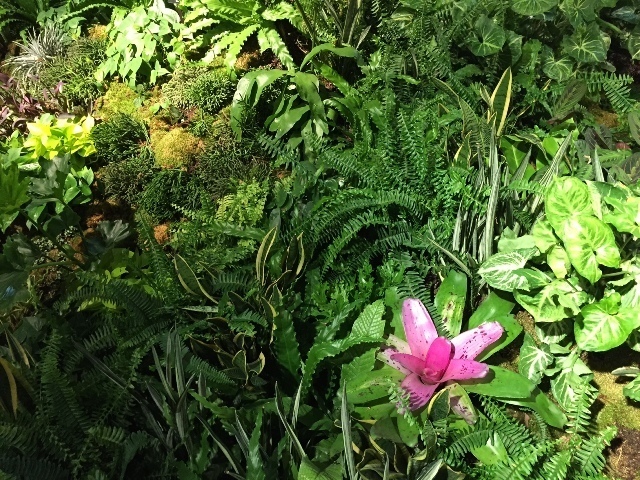 It's within 2 minutes walking distance of the Lowline. In Schiller's you'll experience the typical laid back LES vibe (it reminded me of The Smith). The food is good and so are the drinks (I had the best Moscow Mule ever here). Have you ever heard of the Empire State Building tower lights-calendar? You girls (eh, thx) are manhunting? Boyscouting maybe? Looking for a husband? Grand Central Terminal. Known as one of the most beautiful railway stations in the world. We left with some lasting impressions. The Whitney Museum stole our hearts. A list of New York’s “big five” musea, just to give you an impression. More than 55 photo exhibitions & outdoor installations from around the world. Red Hook’s Waterfront in Brooklyn really rocks! Industrial, arty, raw, edgy. Upcoming! Touristy, overwhelming, noisy, neon signs, billboards, flashylights, sirens and more.